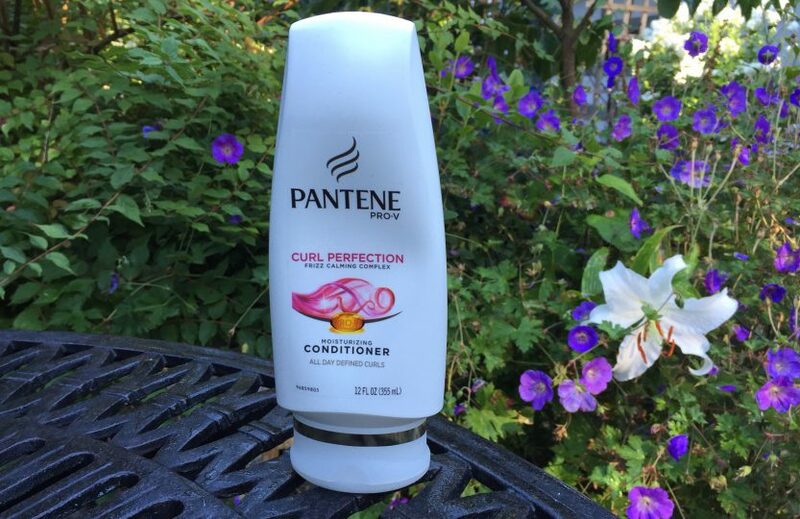 Pantene Curl Perfection Moisturizing Conditioner is your basic moisturizing-style Pantene conditioner. It combs fine and clumps well. 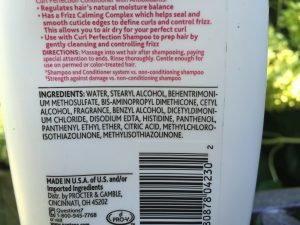 If you compare its ingredients to the Pantene Truly Natural Hair Curl Defining Conditioner, you’ll see they have almost identical ingredients for the most part. Some are in a slightly different order. The Truly Natural has a bit of oils in it, but those are well after the fragrance (in the Truly Natural Conditioner), so are there in tiny amounts only. Always keep your eyes on the ingredients with Pantene products, because they do seem to like to add salt without warning, and I think when I was looking around at them in Louisville while visiting my mom, most of them did have salt, so I couldn’t recommend them for her.